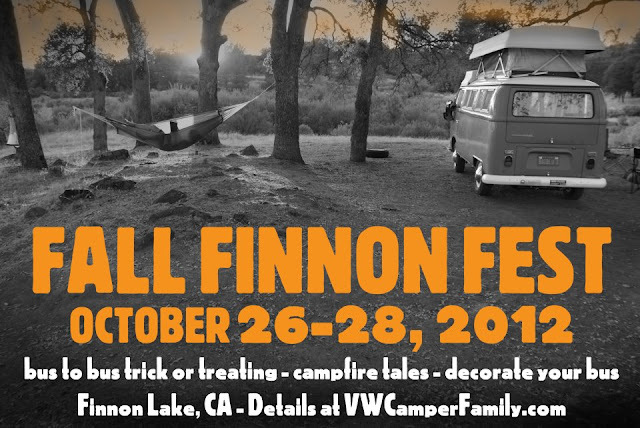 Many of you may have seen the photos we have posted about campouts at Finnon in the past. 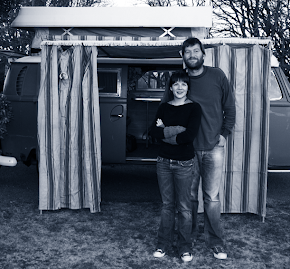 A more perfect spot for VW campers to congregate is hard to find. It is close enough all VWs can make it but far enough that most other people do not make it. It has a cafe in walking distance and it is inexpensive camping. So this campout is going to be Halloween themed. There may be a bit of OctoberFest thrown in just to add some reason to drink strong beer during the campout. So, if you are in NorCal in late October, you should come. 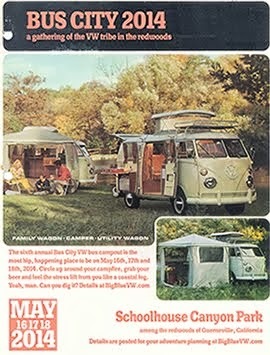 All the details are on VW Camper Family. Awesome Photo. Bus to Bus trick or treating? Great Idea.